Being a parent is really hard. Last week, I got a call from my son’s school. The nurse informed me that he was sick, and she needed me to come pick him up. However, I had an important meeting in an hour with his teachers. Unable to find anyone to watch him, we tried doing the meeting as a conference call. While I was steam cleaning the sofa (why couldn’t he aim at a bucket, or at least a blanket that could be thrown in the wash? ), I get the call from his teachers, ready to discuss my son’s progress in kindergarten. Ultimately, we had to reschedule, going back and forth for an entire day, trying to find a time when everyone involved was available. We were able to make an appointment later that week, so that was nice. But now my daughter has caught what my son had, so most of my Saturday was spent keeping her company while she watched The Magic School Bus. People without kids are usually appalled by my tales of parenthood (my best friend says my stories are the best form of birth control), but if you have kids, you’re probably nodding and thinking, Yep, that’s parenting. Originally, I was going to title this post “Writing with Children,” but that sounds a little ambiguous. Does she have children or are there kids writing with her? To be clear, this post is aimed at those who find themselves responsible for another living human 24/7. In my writing group, most of the members either don’t have kids or their children are grown and out of the house. Only a few of us have kids under 18. I’m not sure if this is the case because fewer parents write, or because fewer parents have the time to participate in a writing group. I’m thinking it’s probably the former since a lot of people drop their hobbies as soon as the first baby is born. Something that I think is kind of unique is that only the writers with school-aged children are able to write at home. A lot of people find themselves distracted by cleaning and chores that need to get done, and aren’t able to block out the needs of their household while trying to write. Similar to how Ray Bradbury cranked out the first draft of Fahrenheit 451 on a rental typewriter in a library basement, parents who want to write have to ignore everything going on around them in order to get words on a page. Someone who is already busy with kids, carpools, playdates, work, and chores has to be dedicated to crafting their novel if they ever hope to finish. I’ve been writing for three years now, from when my daughter was a squirmy baby to my son attending kindergarten. My first novel was written with a baby on my lap during the toddler's naptime and after everyone had gone to bed at night. My second and fourth were crafted during preschool and in the evenings. I drafted my third and fifth during NaNoWriMo. As the kids have gotten older, it’s been easier to squeeze in writing sessions. I frequently find myself working on book stuff while my daughter eats lunch, while the kids play together somewhat nicely, and during lazy weekend mornings. 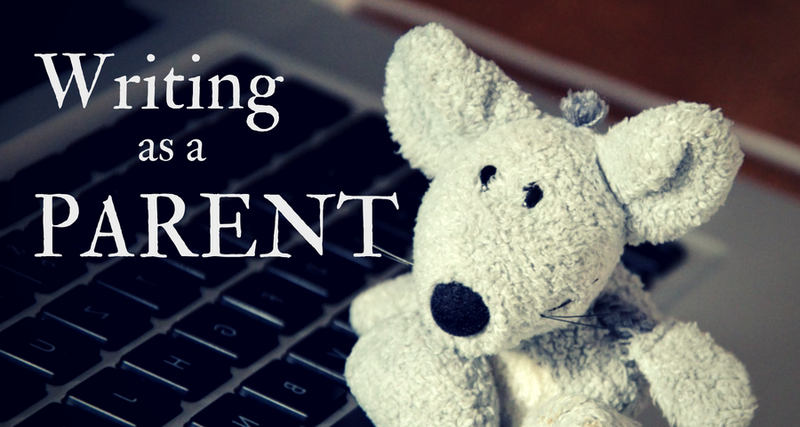 As a writer/parent, I wanted to share a few things which have made my indie author journey more bearable. This is insanely important. Generally, I try to backup my work to my external hard drive after each writing session. I was really glad I did when my daughter snagged a spray bottle and ‘cleaned’ my laptop before I could get it away from her. During the summer, having both kids home all day every day is really hard and absolutely kills any productivity. But I found that having a mommy’s helper (basically a younger babysitter to entertain/distract the kids while mom tries to get stuff done) over a few hours each week so I could work on book stuff really helped. This tip may sound ridiculous for someone who’s already too busy to remember what day of the week it is, but hear me out. Yes, the official goal is to write 50k words in 30 days while also hosting Thanksgiving and having your in-laws crash at your place for a week, but that’s not the part of this annual competition I’m focusing on. NaNoWriMo really is a community which encourages people to get together with other writers, network, write, do word sprints, etc. And it’s only a month, so if you can’t dedicate the time to participating in a writing group, you can still meet local writers—and you won’t be asked to critique anyone else's work, which is a whole other time sink. You have a lot going on. Sometimes you won’t have any time in a week to write. Sometimes you’ll let a few chores slide to finish that chapter. Sometimes you just need to write a story just for yourself. But only write because you love to write. You’re already a superhero—so if you need to set your novel aside while focusing on your family, that’s okay.